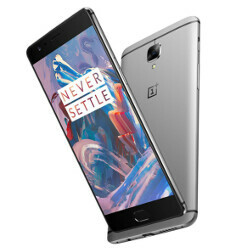 Over the past couple of months, OnePlus' quest to bring its flagship OnePlus 3 and OxygenOS up to scratch has often felt like a tedious game of whack-a-mole. The OxygenOS 3.2.0 update in early July, for example, was quickly pulled when users encountered problems installing. A month later, an intended bug-fix update managed to break Android Pay along with front camera's auto-focus feature. One cannot fault OnePlus' diligence, however, and after last week's inaugural community build of OxygenOS 3.5 rolled out, Community Build 2 (3.5.1) has followed. The numbering of the second community build may allude to minor changes. but OnePlus has bundled quite a bit into this new version. Impressive for just over a week's work, there are six notable changes along with the usual array of unspecified fixes. Mingling within the new features is sRGBmode — OnePlus' concerted effort to deal with display oversaturation issues. Forum threads for the latest update suggest that those aforementioned Android Pay woes are still prevalent. However, while the release notes don't mention, Community Build 2 appears to have taken care of some lingering audio issues users faced with the previous build. Suffice to say, efforts to have the OnePlus 3 and its software running smoothly are still very much ongoing. If you own the handset and would like to check out the new features, be sure to hit the source link at the bottom. Excited for this! More power for OP3!!! And what else u need for 400$ which does thing and right and more importantly doesn't explodes. You had to go there, lol. I thought the current Oxygen had all of these? The sRGB mode was at Developer Options before. I know that. But swapping it from "developer settings" to "Display" is an update? More like swapping it around.